Exasperated by the continued blockade of his country by Greek farmers, Bulgarian Prime Minister Boyko Borissov said at the EU summit yesterday (18 February) that Greece was not a functioning state. 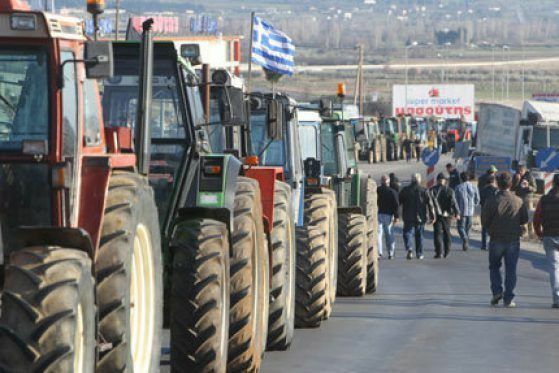 Greek farmers protesting the pension report of leftist Prime Minister Alexis Tsipras have been blocking Bulgaria’s border with Greece for several weeks now. Bulgaria is losing patience with Greek farmers, who have blocked border checkpoints for a third consecutive day today (3 February), protesting against a planned overhaul of the pension system. Bulgarian-Greek relations are generally excellent, and this outburst signals that what appeared to be a social protest is now taking on an international dimension. 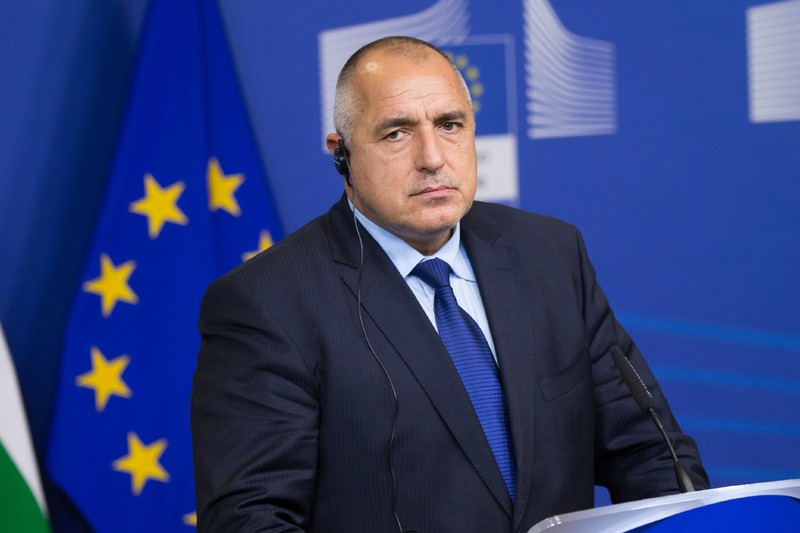 At the EU summit, Borissov said that the counter-blockades, organized by Bulgarian truck drivers, have proved to be the only effective response, as all other means proved to be ineffective. “In the 21st century, it turned out that this is the only way, in normal functioning states. Unfortunately, at the moment Greece is not one,” Borissov said. He stated he had twice called his Greek colleague, Alexis Tsipras, without result. The premier said that the angry Greek farmers should protest another way, without taking the people crossing the Bulgarian border hostage. “Close your harbors, close them inside the country. Why torture the Bulgarians? And they do it on purpose, at a time when I refuse money to build a fence on the Greek border,” Borissov said. Indeed, the Bulgarian Prime Minister has reportedly been offered such assistance, from the Visegrad group, to secure the Bulgarian-Greek border, which he refused. The Czech, Hungarian, Polish and Slovak prime ministers who met in Prague in the framework of the Visegrad Four (V4) group called for an alternative back-up plan to stop refugees at Greece’s borders with Bulgaria and Macedonia, in case present measures prove ineffective. “I refused the assistance of my colleagues to demonstrate loyalty to my neighbors.” Borissov said. “Europe hears us and understands us, but normal working institutions turn to the Greek government. But the Greek government says that unfortunately it has no control,” he lamented. Well, THERE YOU GO GREECE!!! Your ancient culture has lost it, even from Bulgary and why? Because you’re so corrupt that even the Mafia would be ashamed of this level of corruption! There is just no luxury left anymore for social reforms, benefits, pensions (while being 45, really???) etc. And it’s not our fault. It’s YOUR fault that you grandma is hungry, that you sick daughter can’t get her cancer medicine etc. YOU chose to steal from society. And now you’re paying the bill. Voting for a communist party, REALLY? what an idiot. Classic populist media fed ignorant. It was about time someone like you crashed in Euractiv. More should be coming I guess. At the moment, Tsipras keeps a majority in the Greek Parliament by only three seats. Thus, any small rebellion within the ruling coalition could topple the government. At the very same time the government, must convince creditors abroad that Greece is making enough progress to receive financial help. The biggest political challenge is keeping the government together in the face of the people’s discontent fueled by the EU bureaucracy’s policy over the Greek crisis. Then there is the migrant issue…. All the Brussels politicians don’t have to “get it”, after all, they are not accountable to the people the same way politicians like Tsipras and Borissov are. And that’s the problem in my expert humble opinion.